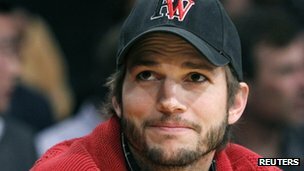 'Bruce Willis's Son' - Ashton Kutcher should be more careful about what he signs up to advertise. He has not only damaged Popchips social media market value, but his own. Sometimes it's too easy to see SMM at it's worst. This picture will come back to haunt him in years to come.